Brandi Nell the Southern Belle: This Totally Rules! Hi friends! I trust y'all had a great weekend. It was one of those wonderful Spring weekends in Atlanta that everyone just loves. Ours was a jam packed one with friends. I'll be sure to share some photos of the race we did later this week. It dawned on me that I never showed y'all what the Hubs made for my sister's baby. I still can't over it. We got the idea from pinterest of course :) Here is the original pin. It originates from Emily A. Clark's blog. I love her blog. It's a definite fave of mine. Be sure to go and check it out! Don't you just love this grown chart? I saw it and thought, "HUBS SHOULD TOTALLY MAKE THAT FOR MINI!" Buy your 1x8 board. 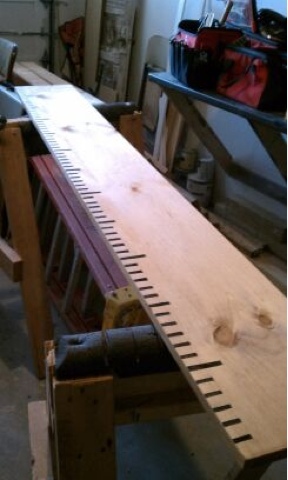 This will be your ruler. We like the knots in them, you can choose one with or without knots. Measure out inches on the board. 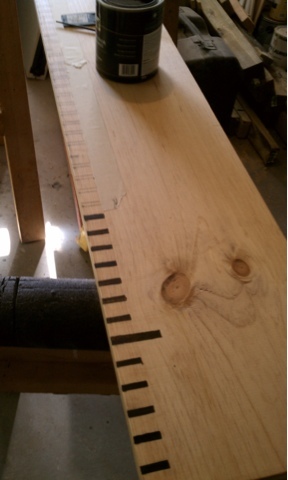 Every 12 inches is 1 "inch" (foot in real life) on the ruler. 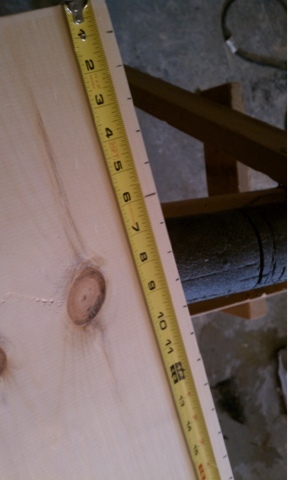 After you mark each inch, you will then go back in and paint them, making your "inches" stand out a little further. Once your paint dries, you need to stain your board. 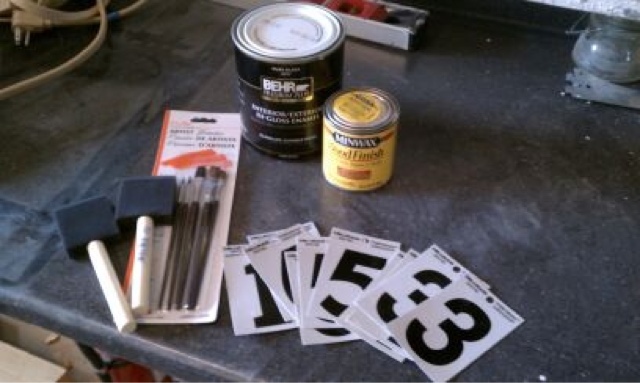 After the stain dries, you add the numbers beside your "inch" marks. Note: this takes practice and patience. While this project takes quite some time, it's totally worth it. Check out y sister's face. 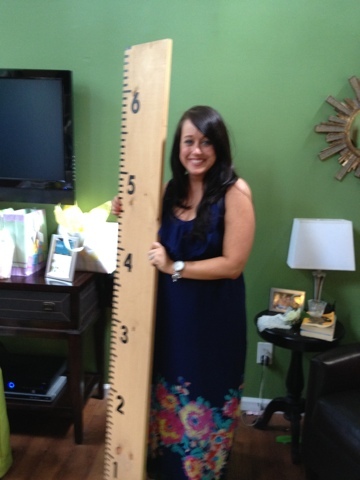 She was totally surprised and excited to have this priceless growth chart. 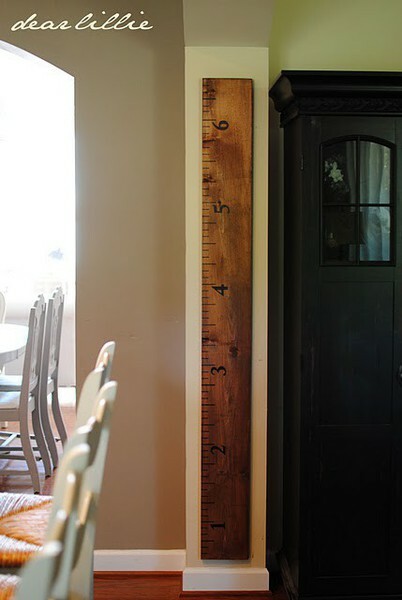 To make the growth chart accurately work, you have to hang it so that the "first inch" mark is exactly one foot off of the ground. I can't wait to see my niece/nephew grow up. It will be fun to look at all of the little markings over the years! Such a sweet gift from the hubs. Hope you have a fantastic week! Talk soon, friends! That is so cool! What an awesome idea! !